"When I open QuickBooks, my company file is not listed." 1. 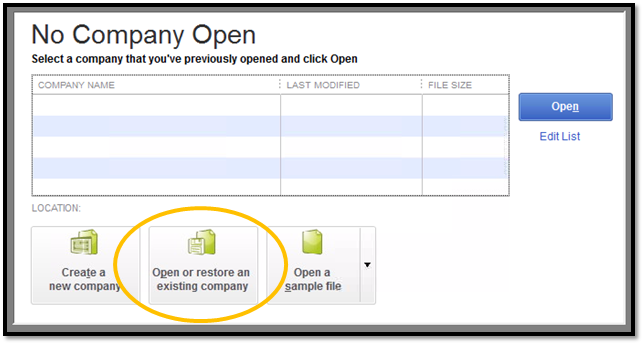 Select Open or restore an existing company. 2. 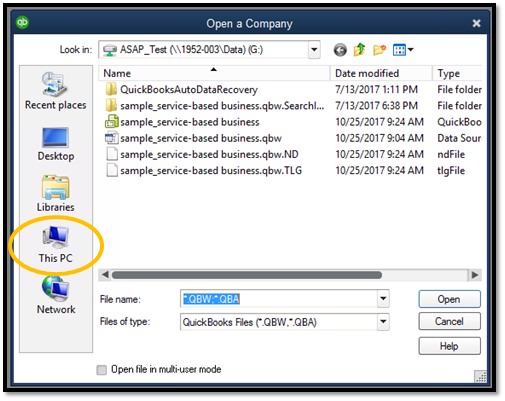 Select Open a company file and Next. 4. Scroll to the bottom and under Network locations you will find your company name in the G: Drive. 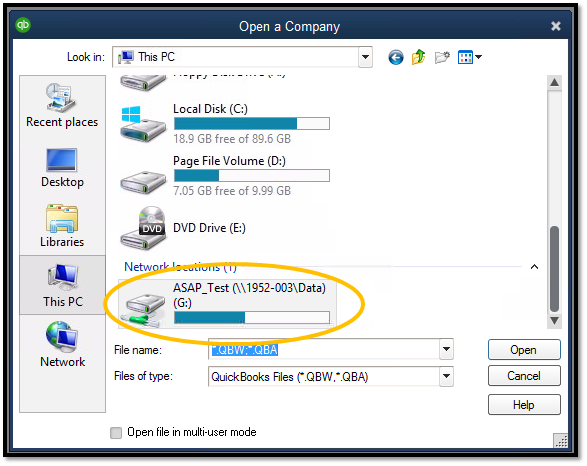 Double-click the drive with your company name on it or single-click it and select Open. 5. Your company folder will contain all of your company files that you have hosted on the Virtual Server. 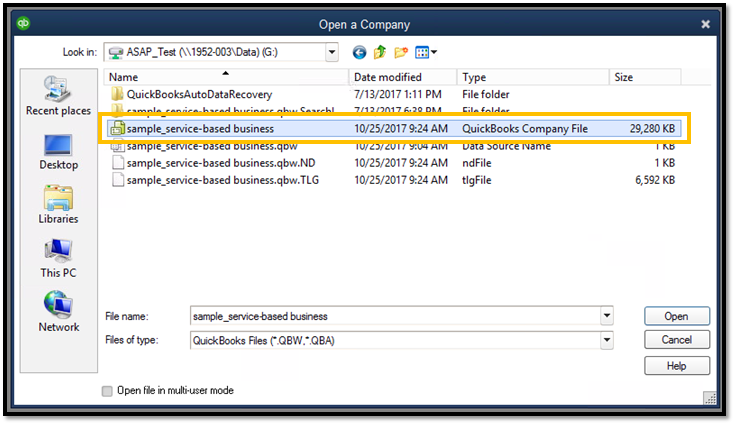 Your QuickBooks company file will have several obvious indicators: green icon on the left, file type is QuickBooks Company File, and the file will be significantly larger than the other files in the folder. 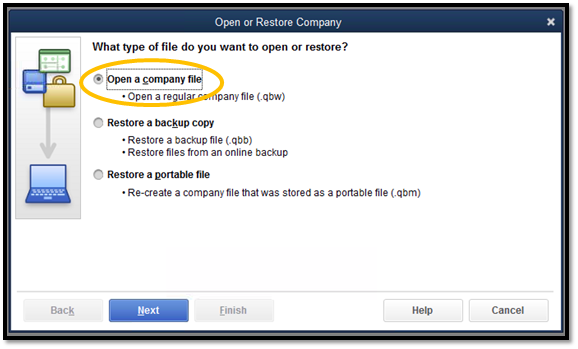 Either double-click your company file or single-click and select Open. Your company file will open. 6. The next time you log in, your company file will be listed, which you can simply select and open.